Any questions or comments for the author? Please post here. It’s selling for about £30 on amazon uk and $40 on amazon US. Any chance it is a bit cheaper from the publishers? I have read some excellent books recently of a decidedly odd nature, but weirdly enough they also deal with your topic. I highly recommend the philospher’s stone by Joseph Farrell. In fact most of his books are eye-opening. Scarily so. Teleology is a passion of mine ,discovering your writtings has been inspiring and an affirmation that the topic is worthy of investigation. Stunned by your thesis paper, reading way over my head is a real thrill, thanks for your courage to follow your muse dispite resistance from those around you ,brilliant, a true creative. I struggle with the temtations to fall back into a mystical interpretation of experience and I can’t help but feel synchronicity at play in your seeing the butterfly triggering what was to become life changing meeting with your mentor. I’m curious how you guard against falling into a romanticised folk psycology and loose the thread of the scientific direction and language. I’ve noticed that a lot of people who are in fact talking about the same things haven’t been talking to each other too much. 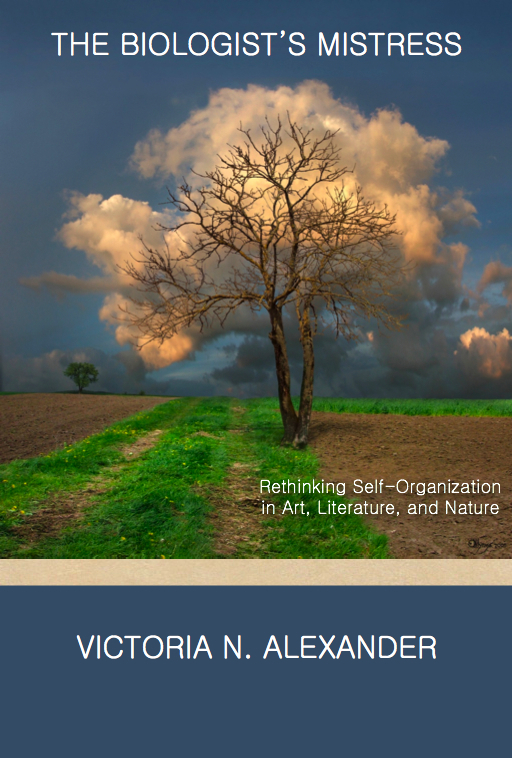 I keep seeing the same ideas of self-organization, systems, networks, emergence, etc. recurring and reemerging, with nobody in the different fields seemingly aware of each other. Self-organization theorists seem unaware of Hayek’s and Polanyi’s work on spontaneous order. And nobody studing emergent properties seems to be aware of the emergentist psychological theory of Clare Graves or the emergentist theory of time of J.T. Fraser. So everyone is reinventing the wheel over and over in different fields. As for myself, I argue for an informational ontology in my book Diaphysics, so we are probably on the same page in relation to biosemiotics, though we can’t forget the other levels of complexity above and below the biological, either. It’s information all the way down — and up! No sane person can be expected to be familiar with all or even most or even much of what has been written on teleology. I’m only about half crazy enough to have read a good portion of a few specific areas of study, and that was already too much to put into this book. In an effort to make this work accessible and interesting to a wide audience, I have not included lengthy summaries of current research on teleology and intentionality. Instead, I have chosen to include only brief references to only those few scholars I have found useful in changing my thought. Those who have confirmed my thought tend to get less attention, which isn’t at all fair, since, had I gotten to them at an earlier stage, things might have been different. But in the interest of explaining teleology in a more or less personal narrative tone, I found it better to stick with my own idiosyncratic developmental trajectory. I tend to favor medieval philosophers over today’s analytic philosophers, pre-Darwinian biology over 20th century developmental systems biology, biosemiotics over teleosemantics, the complexity sciences over general systems theory, neuroscience over psychology, fiction over physics, and pragmatisim over deconstruction, for example. No doubt I omit many important voices. You may feel that one of my omissions indicates an appalling ignorance rather than an informed preference, and you will probably be right. It may be that I haven’t read your key works and authors, but the wonderful thing about teleology today is that many specialized fields—fields that haven’t interacted for decades—are simultaneously converging upon similar ideas about emergence, complexity, selfhood, and purpose. This may count as evidence that we are discovering something true. A language is self-organizing; some of its various speakers may have never heard of each other, and yet if we were to meet, we would understand each other just fine. It’s the most exciting time in teleology since Kant, and I’m glad to be active in my small but perfectly fluent sector. I am sure you are aware of Bertalanffy’s definitions of teleology in his “General Systems Theory”, to which you seem to have indirectly refered. It seems to me that you could clarify your position by refering to his teleologies. I would also suggest that self-organizing systems and beauty are very deeply related to each other. That, at least, is the conclusion I have come to over the course of my own scholarly work on the two. My ancestry actually starts with the German teleomechanists and transcendental morphologists/biologists in the early 19th century, skips many decades and picks up again with Turing and then Priogogine and the complexity scientists, many of whom, interestingly enough, seemed to have skipped over the General Systems Theory work too. I came to Bertanlanffy rather late in my education and found, as you point out, many similarities. General Systems Theory and the complexity sciences are either cousins, sharing distant ancestors, or an example of convergence, having independently come to similar conclusions. Many of the complexity scientists I’ve worked with had a bias against General Systems Theory, which they viewed as a failed effort, and tried to disassociate themselves from it. Complexity scientists also try to disassociate themselves from teleology too. I agree with you, however, that all this work is related and Bertanlanffy is deeply interesting on the subject of self-organization and teleology. I looked at your website. Many similar interdisciplinary interests!